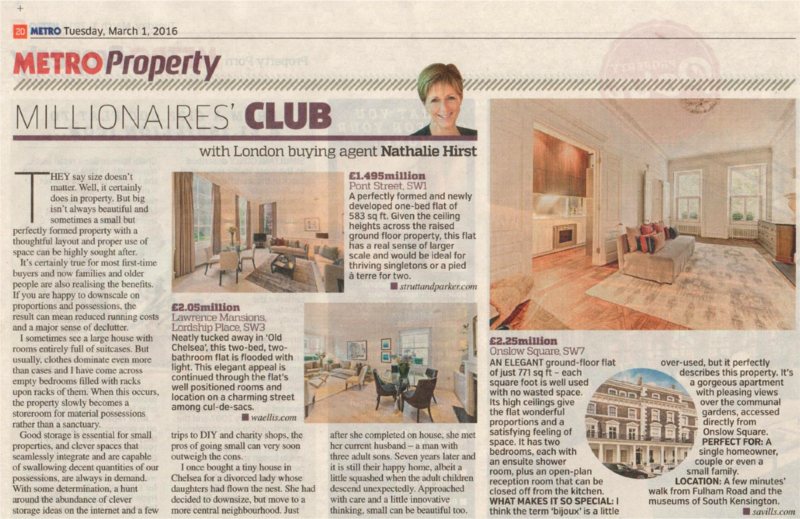 A career built on trust, enviable knowledge & professionalism. 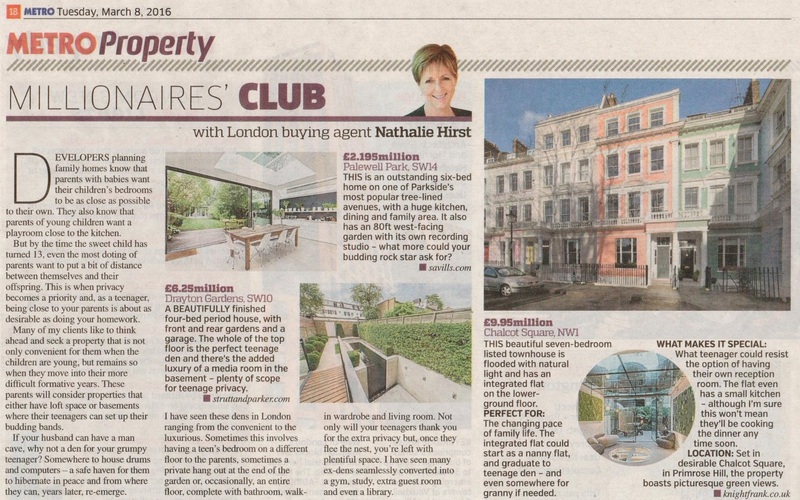 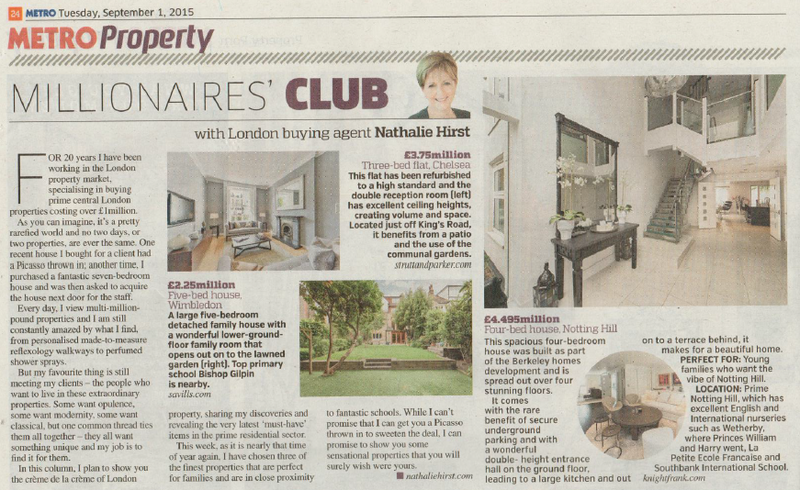 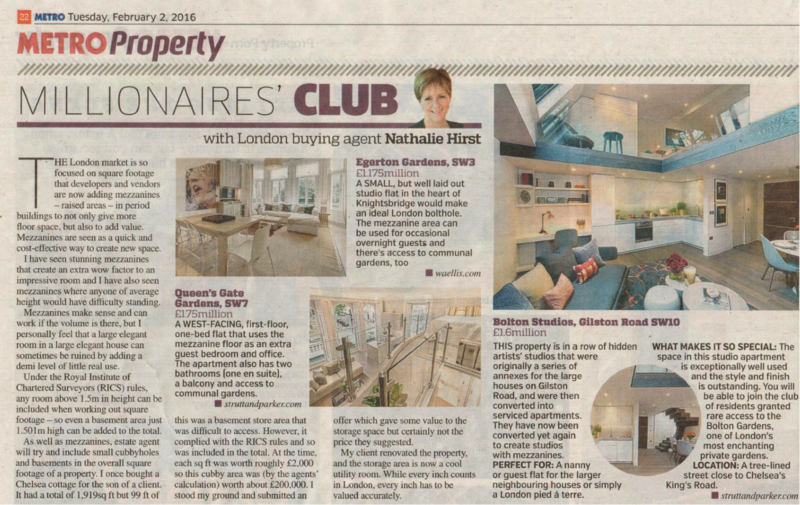 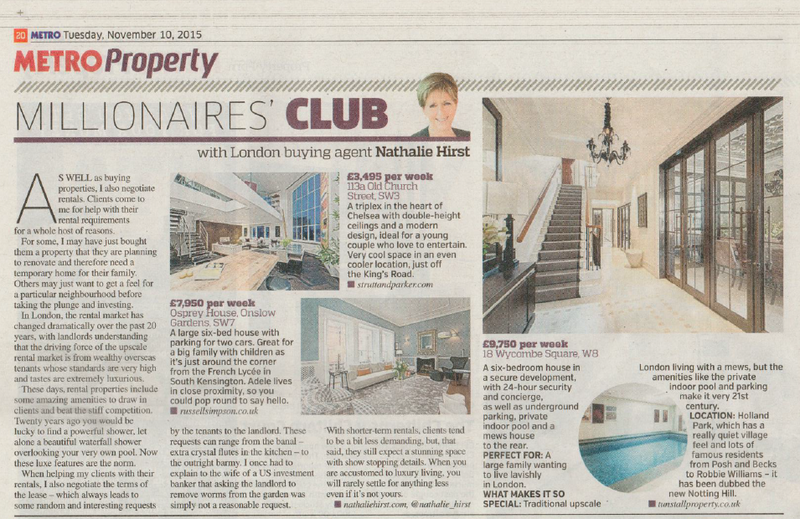 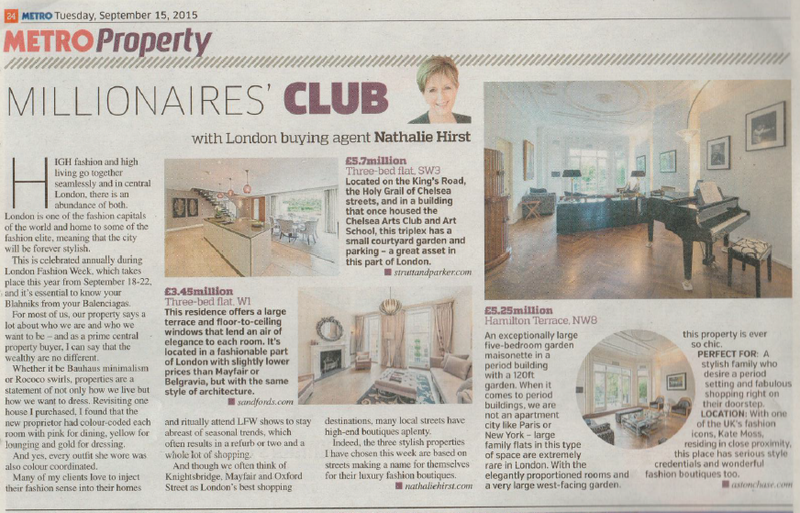 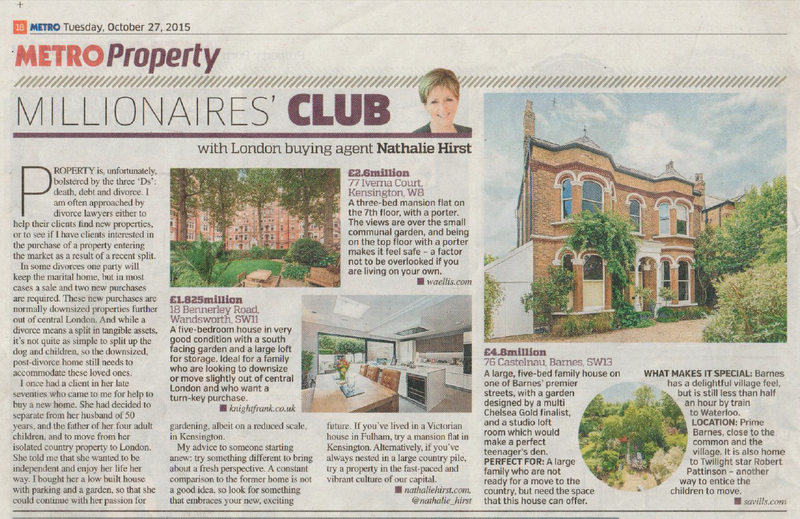 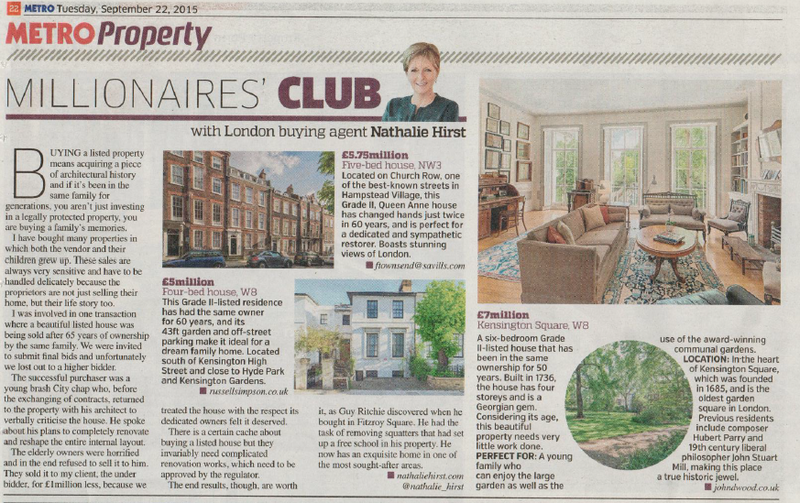 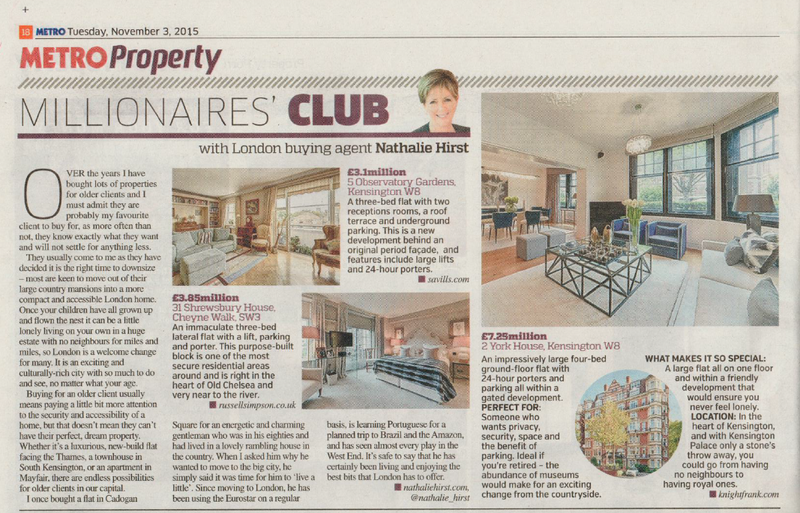 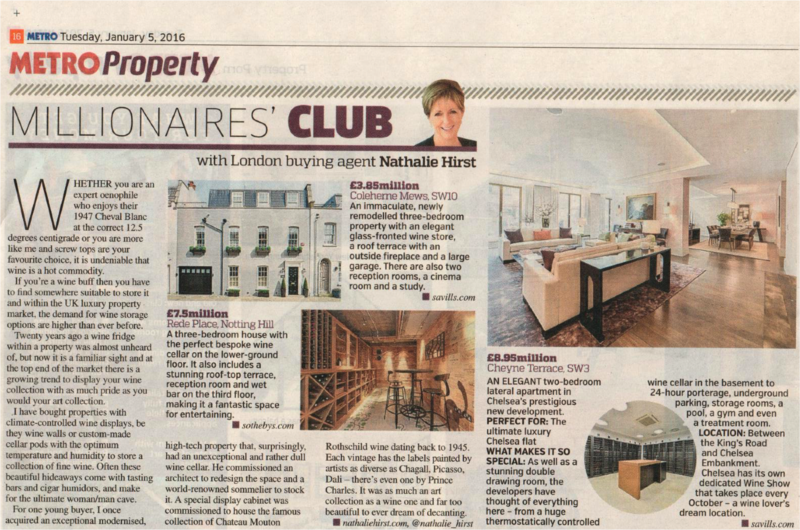 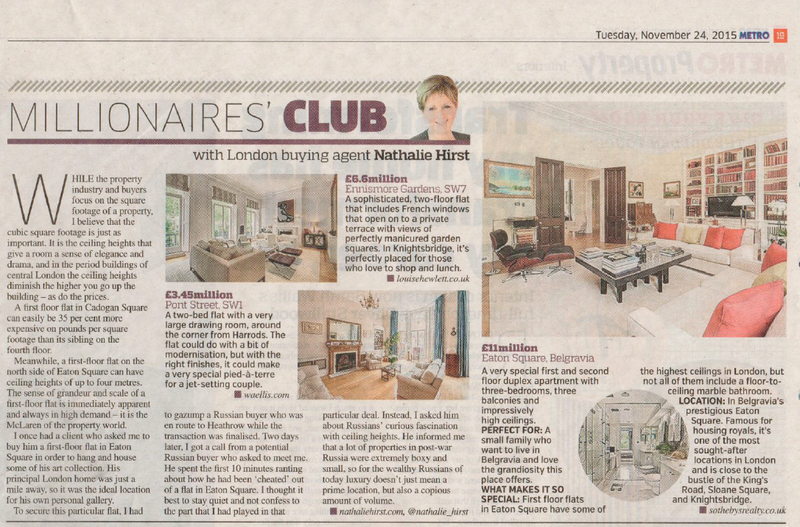 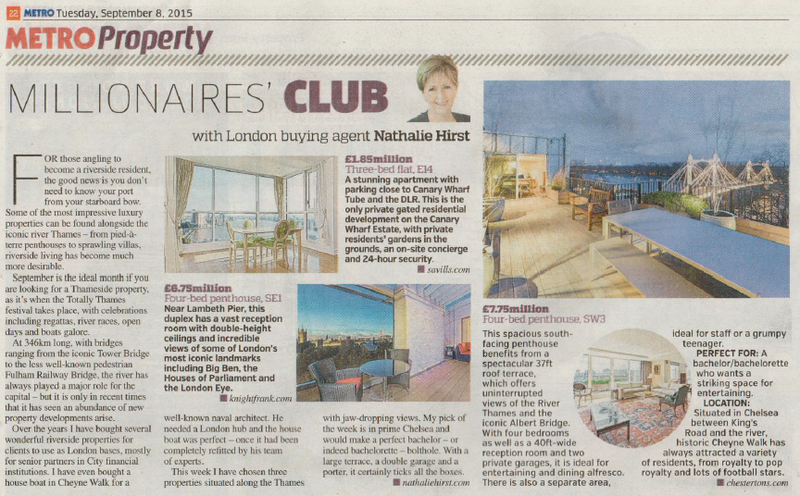 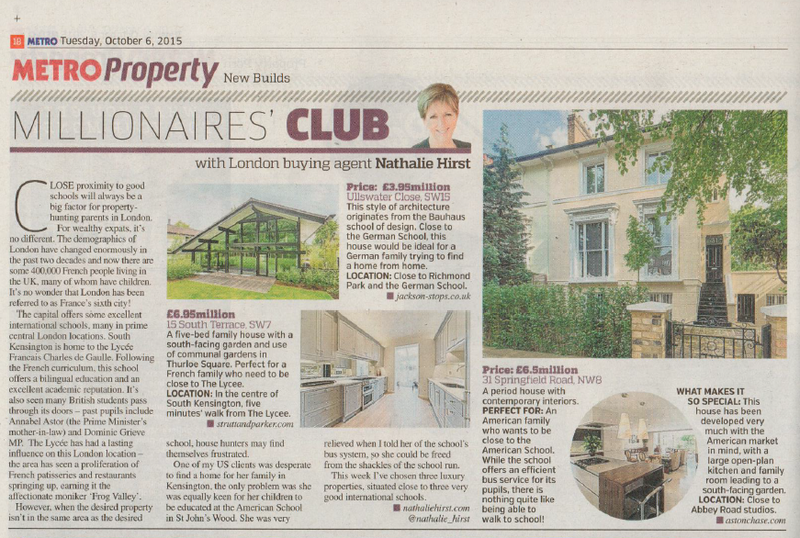 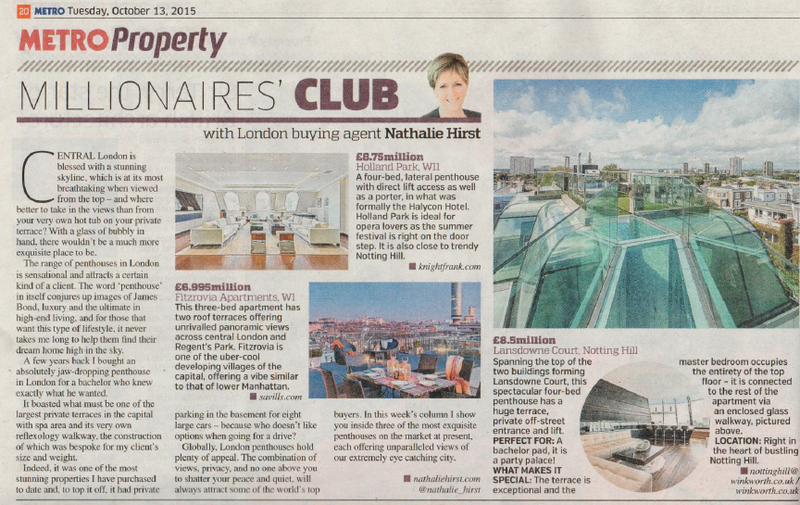 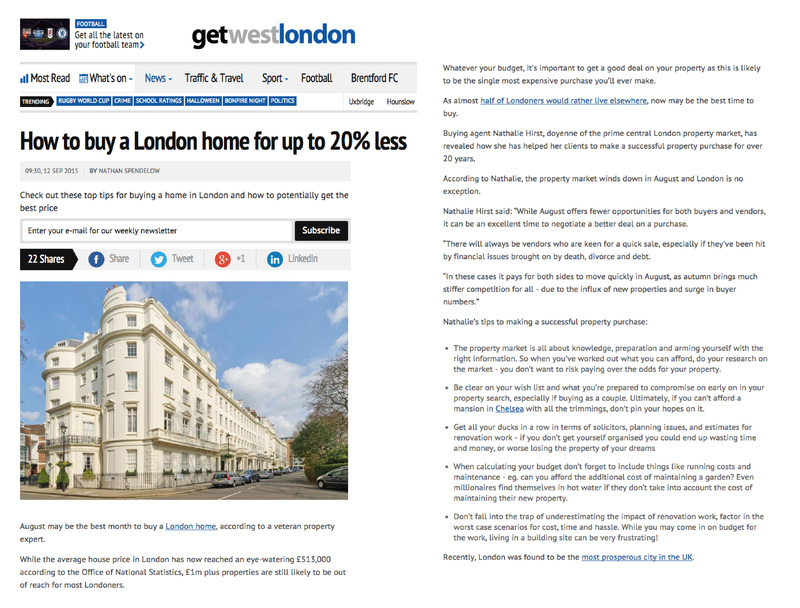 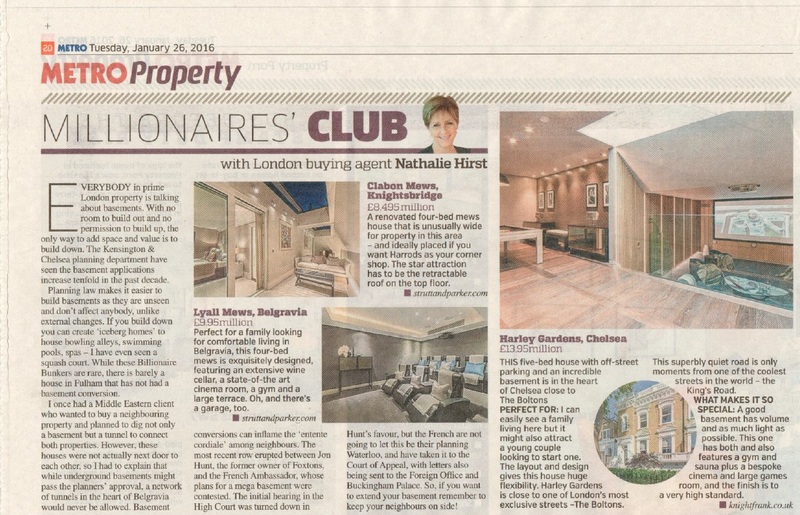 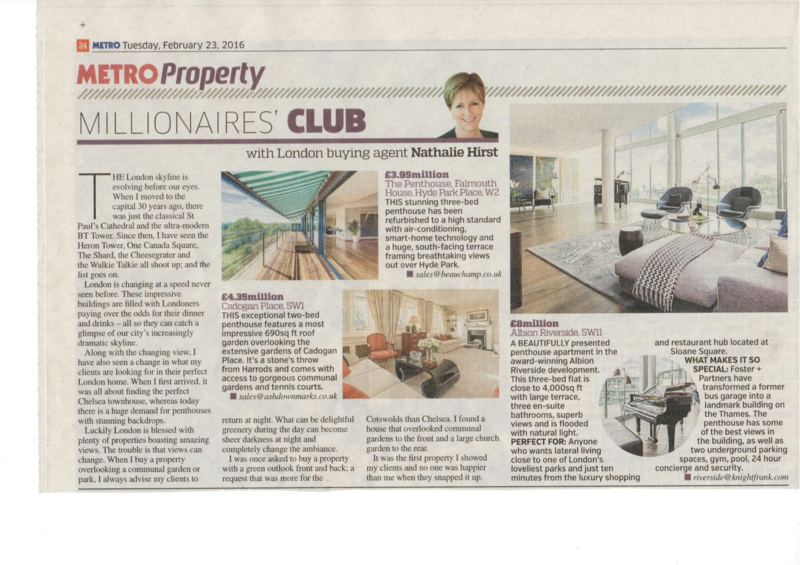 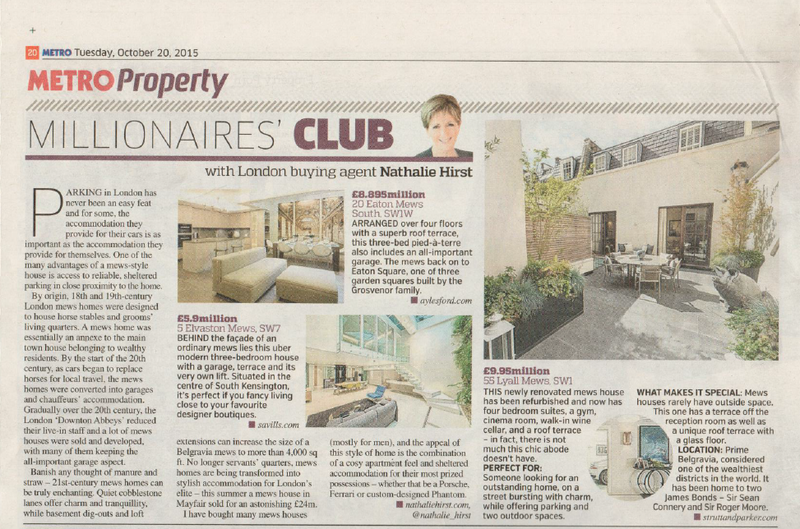 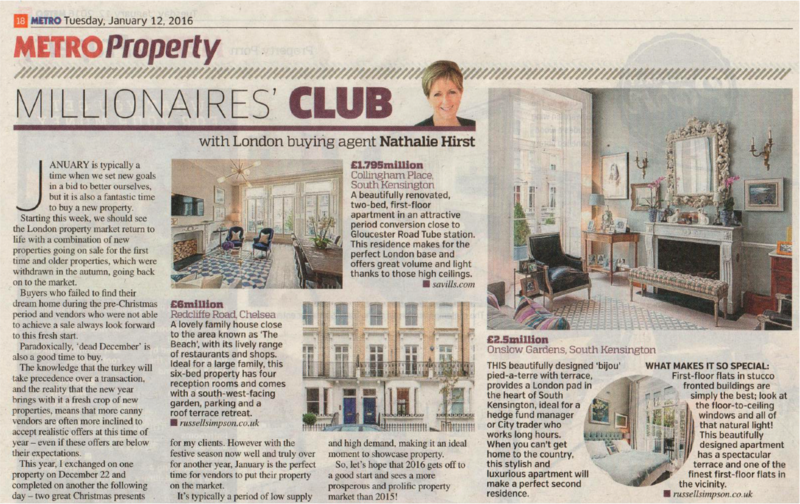 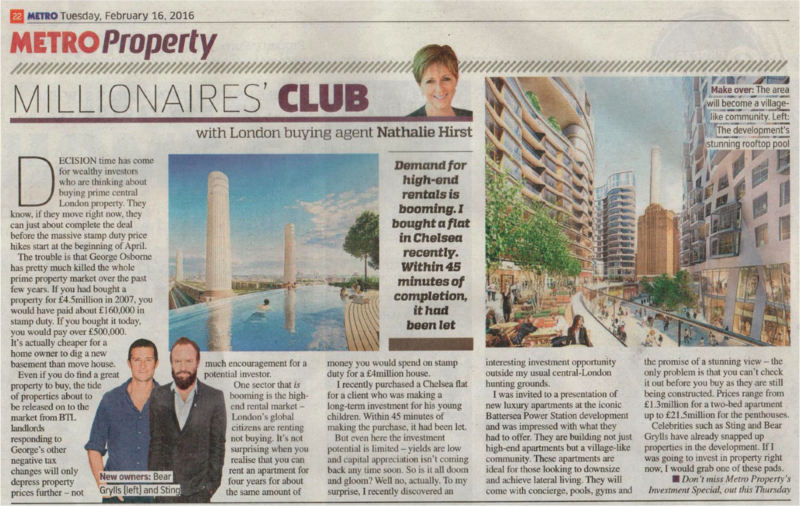 Nathalie Hirst is one of London’s leading buying agents and a weekly Metro Property Columnist, with twenty years’ experience in the city’s prime central property market. 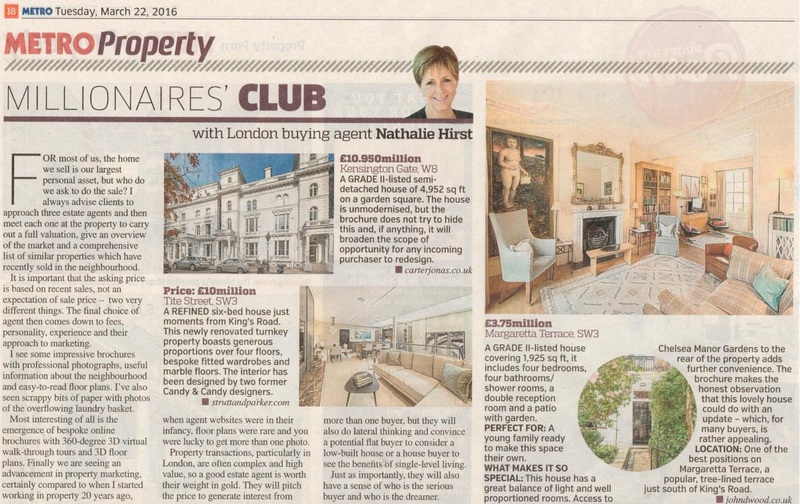 She has recently been recognised as Property Advisor of the Year at the Spear’s Wealth Management Awards of 2015. 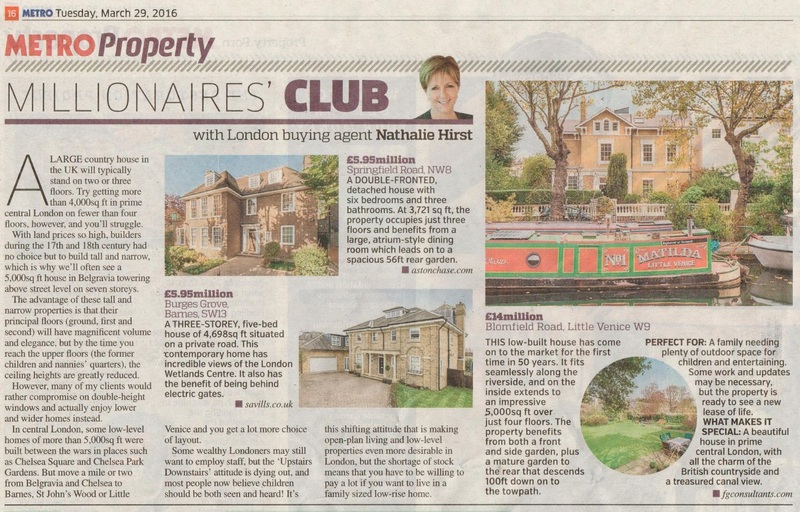 Nathalie works with an extensive network of professional contacts to assist clients in searching for the best property, with a brand centred around the principles of integrity and exclusivity. 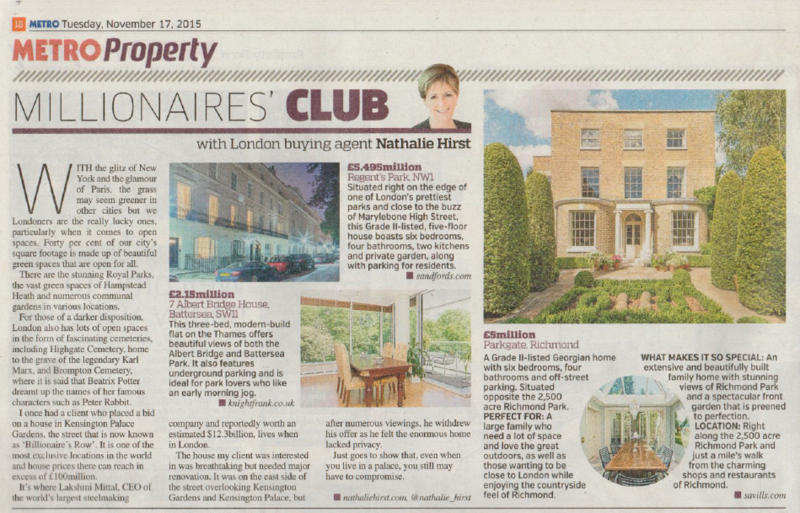 Nathalie began her property career in 1995 helping with the relocation of senior executives from Goldman Sachs, J P Morgan, UBS and Citibank. 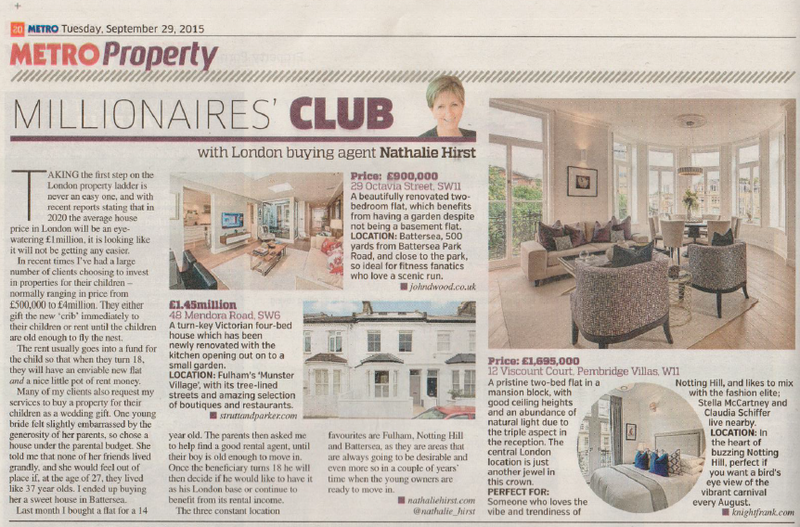 In 2000 she joined Property Vision, the first buying agents specialising purely in advising potential buyers. 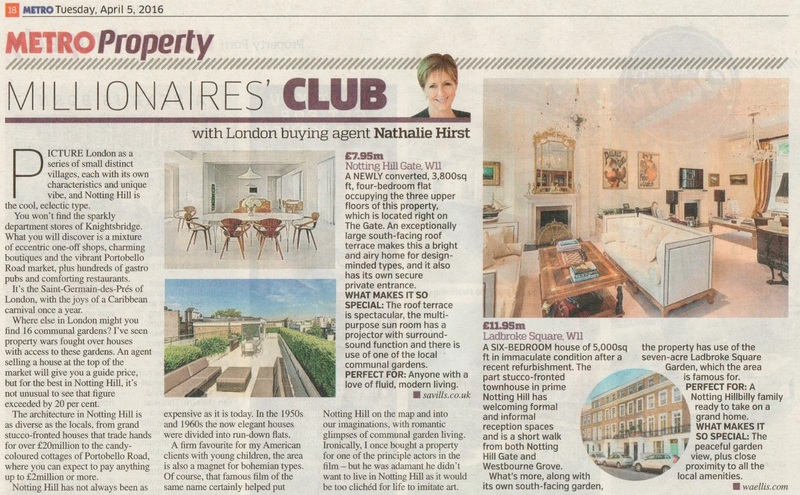 From 2002 to 2010 Nathalie worked in the buying department of Savills and from 2006 headed up their London department. 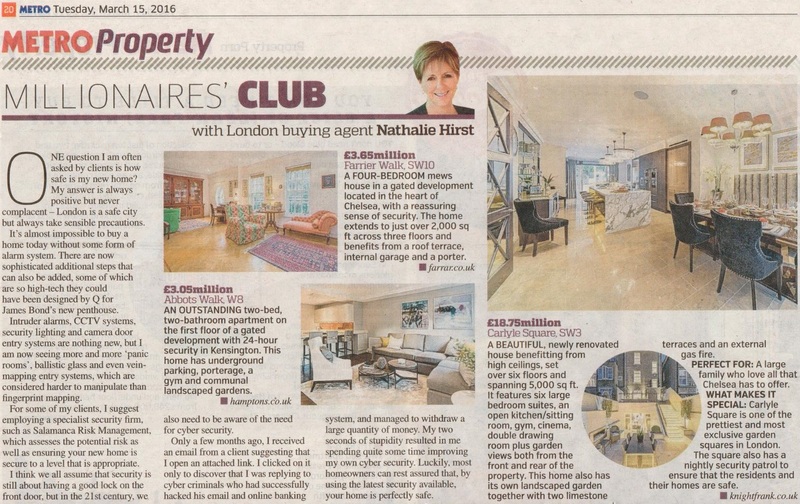 Nathalie’s property business has been immensely successful to date, as evidenced by her extensive list of loyal clients. 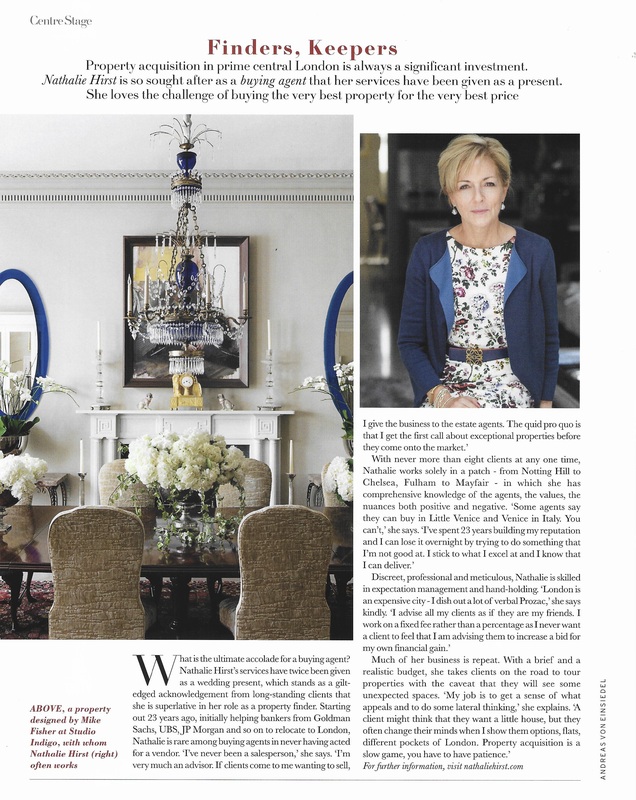 "When you can't build up, build down"